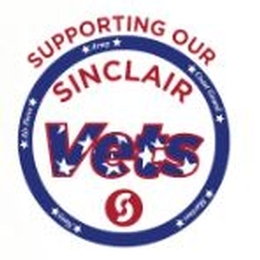 Veteran Services is sponsoring several events as we approach Veteran’s Day on November 11. After surveying the military-affiliated student body, the theme for our 2017 Veterans Appreciation Week is Community. A full outline of activities is available on the Veteran’s Services website. Wrap A Veteran: Throughout October, donations of new thermal shirts, pants or sets are being collected at locations in Buildings 3, 7, 10 and 14. Military-Affiliated Community Day: October 31 from 10:00 a.m. – 2:00 p.m. in the Library Loggia – opportunities to network with military and veteran organizations Library Loggia 10:00 a.m. -2:00 p.m.
Veterans Appreciation Week: November 6-11 with many events at all Sinclair locations including the Annual Remembrance Walk on November 8.